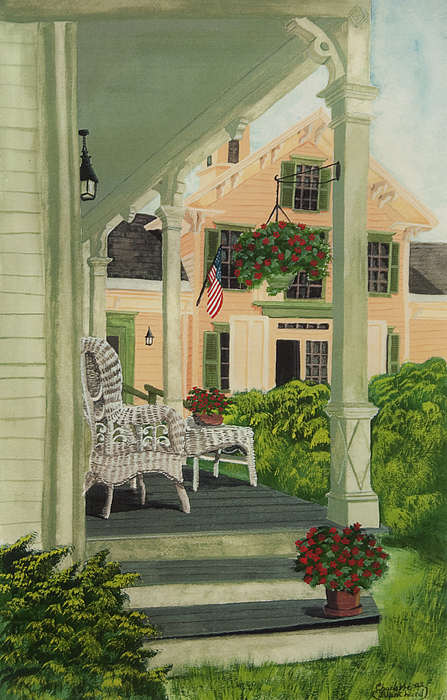 There are no comments for Patriotic Country Porch. Click here to post the first comment. 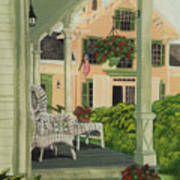 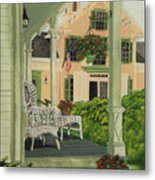 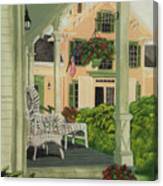 This painting invites you to sit down, put your feet up, sip a tall glass of cold lemonade and enjoy the summer afternoon. I like the feel of looking through the porch to the house on the other side and I particularly like the American flag blowing on a gentle summer afternoon breeze.